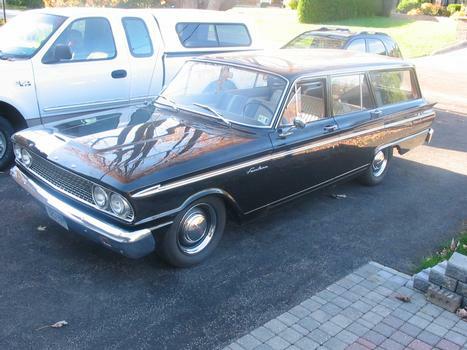 1963 Fairlane Ranchwagon 8 passenger, 302, with an A.O.D. 3.80 traction lok. Mustang II to come next year .